Appellation or Vine Cinque Terre Sciacchetrà D.O.C. Sciacchetrà is a rare wine, the production of which is limited. It comes from grapes of the Bosco, Vermentino and Albarola variety, carefully chosen and left for a long time to wither in the shade, not therefore subject to the effects of direct sunlight. The concentration of sugar, a by product of the formation of mould, allows a golden yellow nectar with an amber reflection to be obtained. The aroma is full and long-lasting with an elegant hint of apricot and honey. It tastes sweet, but never sickly, always moderated by its light flavour, and has an expressive note of rare finesse and personality. 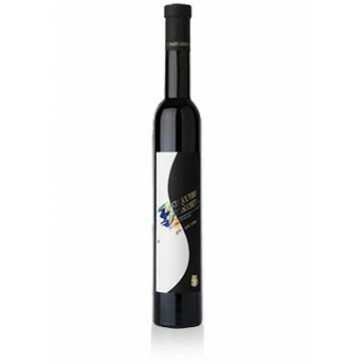 When young, this wine is the perfect accompaniment to spicy cheeses and more substantial desserts, such as the classic "pandolce genovese", whereas when it has been judiciously aged , it is excellent to drink on its own. Serve at 16 degrees centigrade in clear, transparent crystal goblets. This wine has an excellent capacity to improve with age. If it is kept well, it has an average conservation period of 25 years or more. The bottles should be laid horizontally in a cool, dark, humid wine-cellar.